Ivan Perisic has reportedly shown signs of interest in moving away from Inter Milan. The Croatian has been linked with several clubs across Europe in the past few seasons, but it is becoming increasingly clear that he wants a move away and fast. Perisic was instrumental in Croatia’s incredible World Cup campaign that saw them reach the finals, and he has since become the subject of much debate in transfer news around the continent. Following the World Cup, Manchester United manager Jose Mourinho seemed intent on signing the winger, and came very close to doing so as well, failing right at the very end. 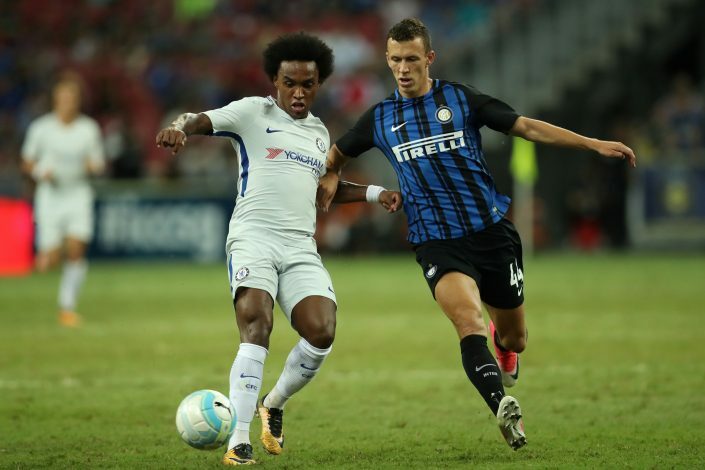 But with the January transfer window now creeping ever closer, Perisic has hinted that he is ready to take the step that helps him in the final years of his career. The ‘dream’ he talks about is playing in the most popular league in the world, and why not. Perisic possesses all the necessary goods to be successful in England – a pace to burn, and more importantly, a thinking mind, giving him an edge over the rest. Jose Mourinho is keen on giving him a shot at Old Trafford for those reasons among others, and it wouldn’t be surprising if other clubs from the land come calling in case a deal to United falls through again. As of now, however, the Croat seems to be focusing solely on Inter Milan and their chances domestically as well as in the Champions League, where they are looking to make it through to the knockout rounds.